No matter how much impact we have on the lives of women within our network, we can never share their stories as well as they can. Which is why we created the #MyWIMBIZStory as an avenue for these women to share their stories on the impact associating with WIMBIZ has had on them professionally and personally. The first edition of #MYWIMBIZStory is by Ms. Achenyo Idachaba, Founder & Creative Director of MittiMeth and WIMBIZ Associate since 2013. When I was asked to share my WIMBIZ story, I was happy to do so. I knew I would be unable to meet the May 28th deadline but I was confident WIMBIZ would understand why this Associate missed the deadline by a day despite the gentle reminder. I’ll tell you why at the end of my story but I’ll first start my WIMBIZ story by saying MitiMeth has come a long way since my first encounter with WIMBIZ in August 2011. I was one of a few women selected to participate in the premier Women Entrepreneurs in Handicrafts Business Development Training organized by WIMBIZ, Vital Voices and the ExxonMobil Foundation. I had seen the “Call for Applications” in one of the daily newspapers and applied. This might sound a bit “self-centred” but the training was specifically designed for ME! It was EXACTLY what my Green Start-Up (MitiMeth) needed at that point in time and I was thrilled to be a part of the training class and connecting with WIMBIZ. Being based in Ibadan meant that I could not participate in several of the Lagos based WIMBIZ events but that did not stop me from keeping WIMBIZ management informed of my post-training progress and attending the few I could. Thankfully we now have WIMBIZ Roundtable Lunch events in Ibadan. WIMBIZ has been very supportive over the years and has affirmed and validated in MitiMeth in diverse ways. In 2013, I became a WIMBIZ Associate. That same year, I was given the opportunity to speak at the WIMBIZ Annual Conference and was also nominated to participate in the Standard Chartered Bank Dragon’s Den. Thankfully, I did WIMBIZ proud by winning the 1st Prize at the Dragon’s Den. 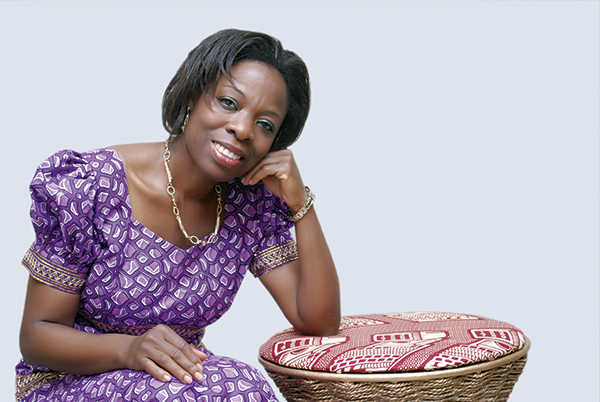 Most recently, I was nominated by WIMBIZ to speak at the 2015 Global Summit of Women. I did not end up going for the event but it was very nice to have been considered for the Summit. I thought I’ll end my short WIMBIZ story by saying this once again. MitiMeth has indeed come a long way since August 2011. Just in case you’re still wondering why I missed the May 28thdeadline. I was up to my “gills” preparing for another event. A few hours ago, I gave the opening talk at TEDWomen2015 in Monterey, California. The theme of this year’s conference being Momentum. Let us all keep the Momentum going as Women in Management, Business and Public Service. GOD bless you. Interested in sharing your WIMBIZ Story? Send an email to wimbiz@wimbiz.org with the subject #MYWIMBIZStory.